What were you feeling when you finally got to meet up with the OARS. Grand Canyon crew in Flagstaff before the trip? After waiting for so long it was surreal. 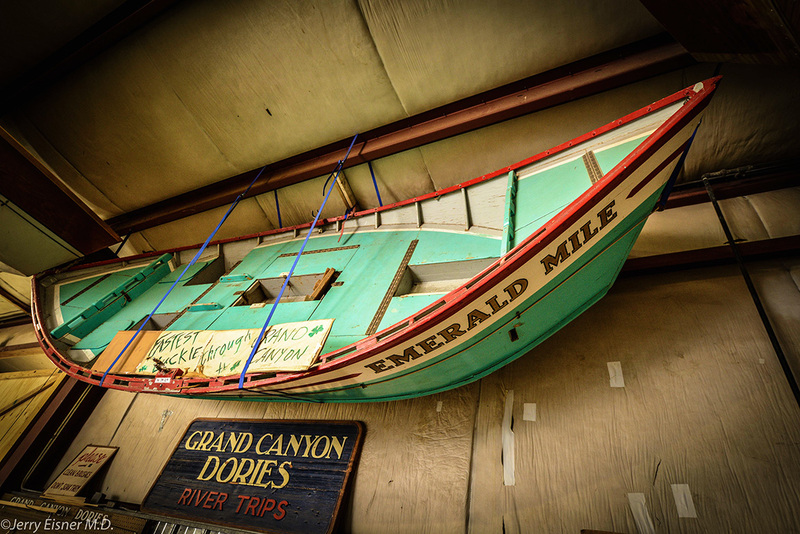 The cool part was rolling up to the warehouse and seeing the Emerald Mile hanging in the boat house. Then meeting all the characters there and packing all day and seeing how that goes. It was pretty exciting. Did you feel like a part of the crew once you were on the river? Definitely. When I showed up and saw that I was the only one that wasn’t going to be rowing I kind of realized I was going to have to carry my weight in other ways. I was just trying to help out as much as I could. There was a steep learning curve, and plenty of cam straps that the guides had to go back and fix those first couple of days, but I picked it up slowly and surely. 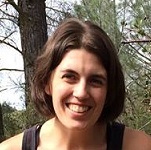 You said the learning curve was pretty steep; what was the hardest part of the job? I had to learn to cook a lot of gourmet food. Definitely outside of my comfort zone there. And just how everything is packed in so tight. Each one of those guides had their own style of playing Tetris to get everything to fit in the boats. 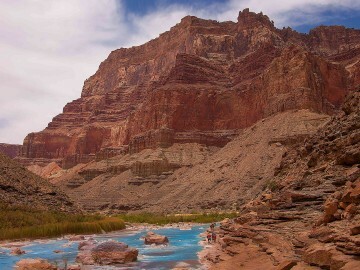 Did a trip down the Grand Canyon live up to your expectations? It definitely did. The first couple of days I was just sitting there looking at the canyon walls in amazement at how huge they were, and it just felt like you were on a whole different planet. Rocks look like temples and forts. Pretty amazing. 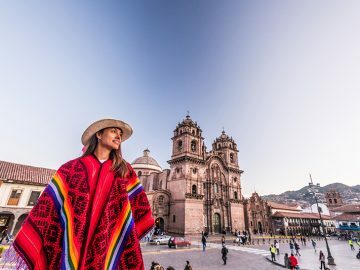 What was one of your favorite parts of the trip? 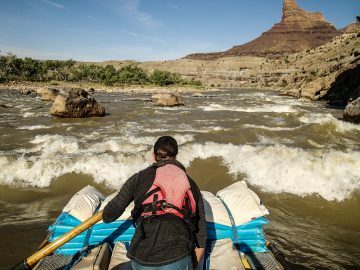 Crystal Rapid and Lava Falls…scouting the rapid and getting that adrenaline rush because you’re looking at it and can see how big those holes really are. 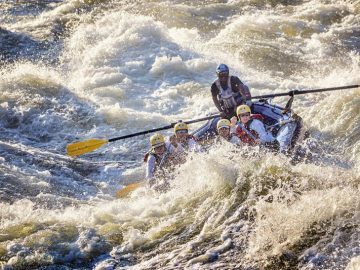 You put a lot of faith in the guys behind the oars. 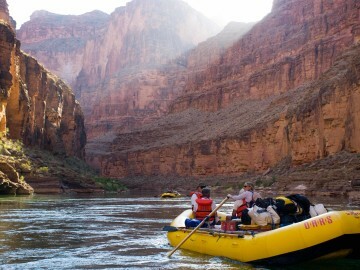 Was it hard for you to settle back into normal life after being on the river for two weeks? It took a little bit, but work did a good job of ripping that band-aid off pretty quickly. Ha! 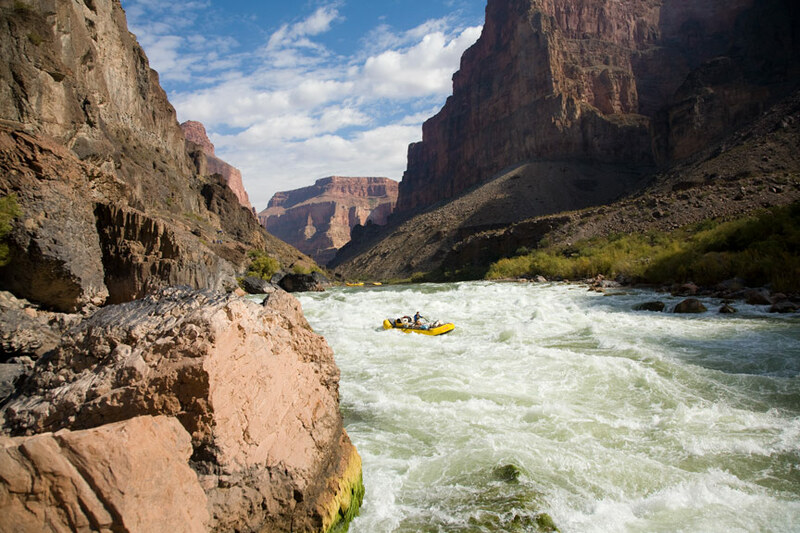 Now that you’ve done the Grand Canyon, what’s on your radar next? 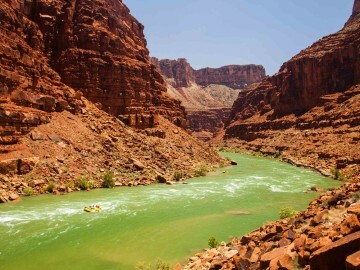 I’d love to do some more rafting and try do some other parts of the Colorado River—maybe Cataract Canyon? 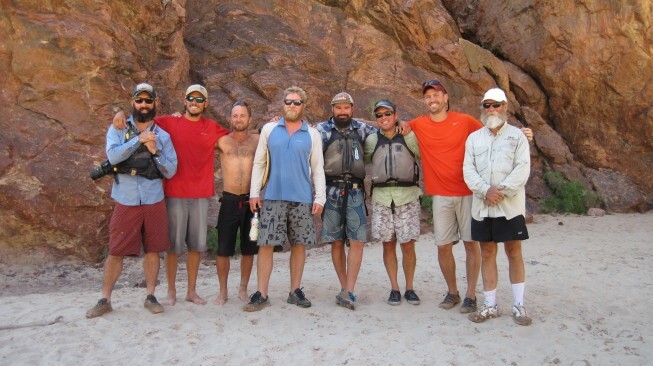 Top photo: Bob Sise (second from the right) with his fellow Grand Canyon crew members.